"My object relates to a memory of my grandad and my first visit to Mauritius. It was the first time I had been away. I was about two and a half years old, it’s one of my first memories." My mum came from Mauritius when she was 17 years old during the late 60s because the UK was recruiting nurses. Her parents were from Mainland China and quite a lot of people emigrated to Mauritius to get away from the Communist Party. The tricky and interesting part is that they spoke Hakka but when they arrived in Mauritius, nobody spoke Hakka. They spoke French or Creole. When the family name was transcribed in Mauritius, it wasn’t done in any Chinese characters, instead it was someone hearing what they heard and just writing it down, that’s gone onto become the family name. My mum was one of nine siblings and she had a close relationship with her dad and who was liberal and he gave her the opportunity to do her O-Levels and to come to the UK. My object relates to a memory of my grandad and my first visit to Mauritius. It was the first time I had been away. I was about two and a half years old, it’s one of my first memories. At my grandparent's house in Mauritius, there are tropical temperatures. They had settees with wooden bamboo handles and legs. 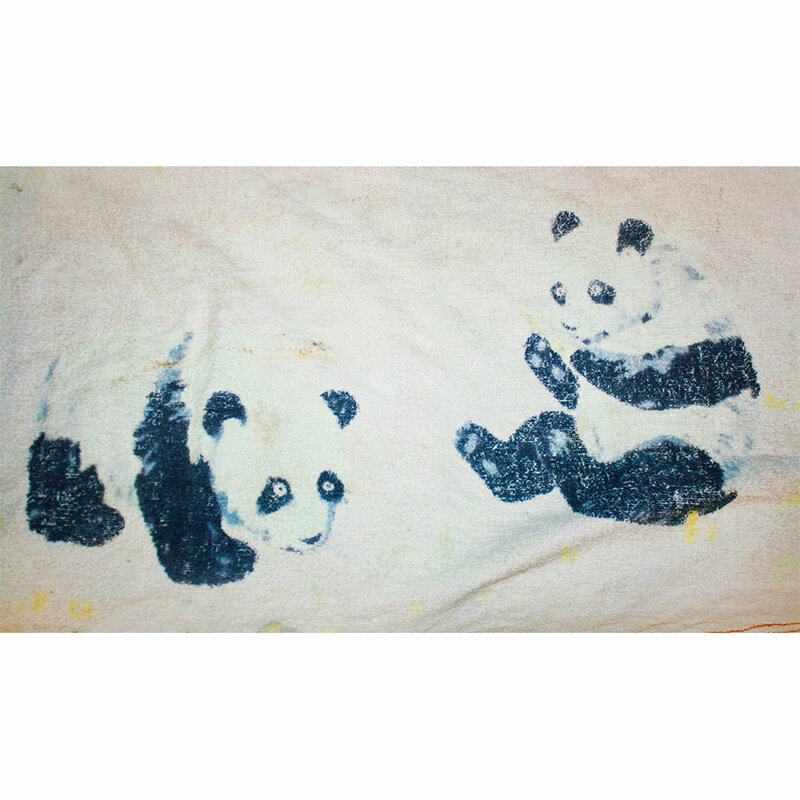 I had a nap there and my grandad came and covered me with this panda towel. It was his gesture that really stuck in my memory, which I strongly identify with that part of my heritage and family. I didn't speak any language a part from baby English and my grandad didn’t speak any English but you still manage to have a relationship. I felt his sense of care. Even though my grandma was alive longer, I feel a strong link with my grandad. I don't know why that was. My mum said my grandad was very kind and very open. This object is linked to that feeling of openness on my first trip. In being mixed race, that sense of openness is something I see as a common thread between me, my grandad and my mother. Despite living in different countries, speaking different languages and experiencing different eras, openness is a common trait for us all. We were only in Mauritius for a week and this object is a metaphor for how I viewed my grandad as a person, even though I only met him for a tiny portion of time.